My name is Phil and I have been a qualified Master Personal Trainer since 2010. I turned to health and fitness for medical reasons and it was crucial that I did it at the time! I started out weight lifting a couple years before that and once I completed my certificates 3 & 4 through The Australian Institute of Fitness, I have never looked back and it was the best decision of my life to do so. 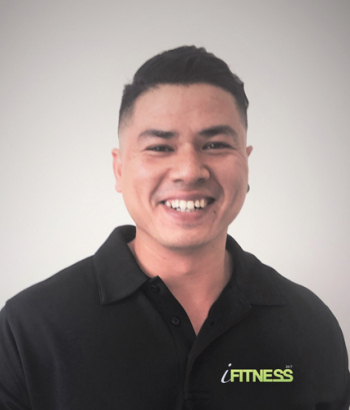 I was a sole trader for my business providing mobile personal training with services such as outdoor group circuits, general boxing/Thai boxing to my clients as well as weight lifting in the gym. I had some time off to focus on other aspects of life and during that time I also have experienced power lifting, intermediate body building, and most importantly, health, well-being and nutrition. But overall, my passion, drive and enthusiasm for the fitness industry never died which is why I recommenced personal training. I come from a hospitality and gym management background which I always provided the ‘customer comes first and is always right policy.’ I am also highly experienced in sports supplements as I was a previous manager for Wicked NRG. My clients come first, my clients goals and objectives come first, without dedication and commitment, success and satisfaction may not be achievable. If you see me around any of the gyms, feel free to say hello! I may look intimidating, but I’ve got a big heart!